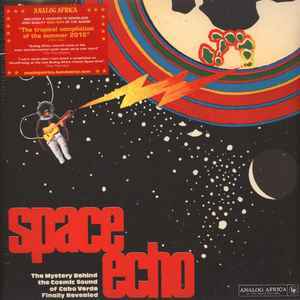 Various ‎– Space Echo - The Mystery Behind The Cosmic Sound Of Cabo Verde Finally Revealed! 140g records in 60's style gatefold cover. Includes 12-page LP size booklet with extensive interviews with the original artists. Includes a voucher to download a digital copy of the album. This compilation is dedicated to Paulino Vieira. Titled on spine as "Space Echo The Cosmic Sound of Cabo Verde 1977-1985"